Our approach to drinking water protection - “Putting Drinking Water First” - feels light years away from the crisis in Flint, with seemingly nothing to offer based on what we have learned about the causes of this situation. Over 100,000 people are unable to use their tap water. Flint already had high levels of lead-poisoned children. Now those numbers have doubled. A Legionnaire’s disease outbreak may well be related. All because officials put the bottom-line first. "Putting Drinking Water First”, exactly what officials didn't do in Flint, is animated by our belief that we can make smarter choices that will benefit us while keeping contamination out of our drinking water. It's focused on the need for 21st century thinking about how we handle pollution issues in a more integrated fashion. Ultimately, it’s optimistic thinking about making smart choices. Unfortunately, we don't always do that. We can’t balance budgets on the backs of public health and environmental protections. 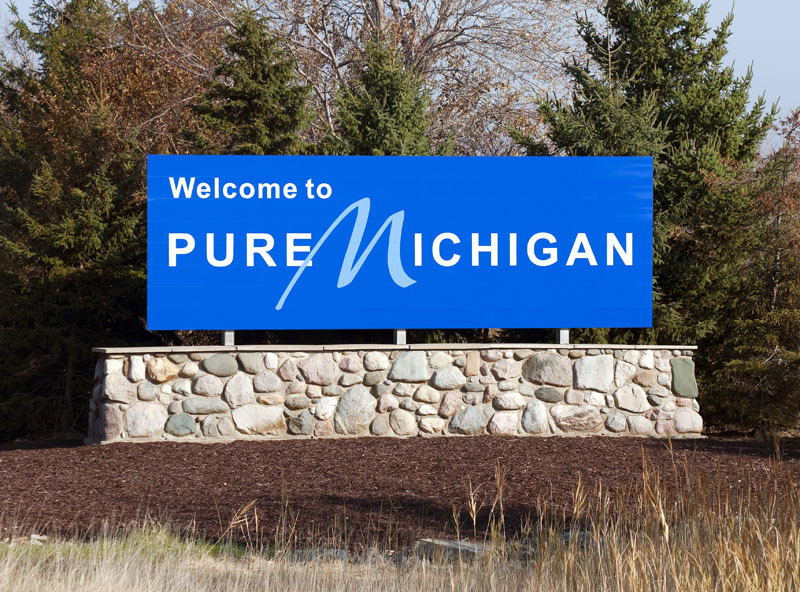 Michigan residents are fighting against fiscal policies that lead to the kind of short-sighted decisions that led to the situation in Flint. Public outrage in the face of crises like this confirm that we have a widely-share expectation that one role of government is to protect people. Government at all levels needs to exercise this responsibility, and that takes money (among other things). When government makes decisions with only the bottom-line in mind, we take huge risks in terms of public health, public safety, quality of life and economic well-being. Decision makers at all levels must be held accountable for irresponsible actions that put public health at risk from drinking water. Much of our what we do is hold polluters responsible for drinking water contamination. Government officials who make decisions about drinking water are equally culpable. The chain of events in Flint demonstrates a spectacularly cavalier attitude toward the complexities of water treatment and distribution. In the first instance, the decision to stop receiving water from the Detroit system and to set up a temporary water system using Flint River water until a larger regional system goes online next year is troubling. Operating a drinking water treatment plant and distributing water to a community of this size is a complex undertaking. Systems of this size don’t spring up overnight. It is hard to imagine the wishful thinking and lack of regard for the residents of Flint that went into this decision, a maneuver that would have been tricky even had it been bankrolled to the hilt and run by the best in the business. We also keep hearing about the dirty Flint River. It's true that this river suffers the burden of decades of lack of regard for our precious water resources. But it’s not the river’s fault. I would leave it to our nation’s dedicated water professionals to discuss how water like that in the Flint River might be made an acceptable drinking water source. But a perfect storm of bad decisions and lack of oversight led to a situation where modern water chemistry and engineering were not put to work to make the Flint River an appropriate source..
To compound the problem, after the decision to set up a temporary water system it appears that decision-makers chose not to follow experts’ advice to control for corrosion in water pipes and otherwise run a modern drinking water treatment plant. State officials appear to have been unaware of both the law and the realities of water treatment. Water treatment and distribution is a profession because its practitioners are highly trained and are ideally updating their knowledge constantly. The science of drinking water is not fixed – we learn new things every day – and it’s not simple. The cascade of irresponsible decisions and activities in Flint must be a wake-up call to government and every level and indeed to all of us about what is at stake when we make decisions about water. We can do better to prevent environmental injustices. Some people are more burdened by public health and environmental threats. This is a matter of fact - environmental justice is not a theoretical issue. Flint is a poor city, with a population that is largely people of color. Whether it’s decisions about old dirty diesel engines on trucks in less affluent port cities like Newark NJ or choices about providing drinking water in Flint, we repeatedly witness this disparate impact of the burden of pollution and public health risk. If we are to avoid a two-tiered drinking water reality in this country, where some have and others do not, we have to take these disparate impacts seriously and take action to address them. Public confidence in government and in tap water has to change dramatically. We ignore government or bash it when convenient, and both have consequences. Events in Flint have led to calls for stricter regulation and enforcement. These will be impossible to win if we engage only by bashing government after problems arise rather than engaging in the process to win better protections. This conundrum is mirrored in the public’s relationship with tap water, and with the Public Water Systems which serve the vast majority of us. What is going on in Flint could make both of these sea changes more difficult and also illustrates their urgency. As we work to address the immediate water and public health problems in Flint and to hold those responsible accountable, we need to get back to the basics of “Putting Drinking Water First” if we are to protect public health and well-being and meet the challenges to come.